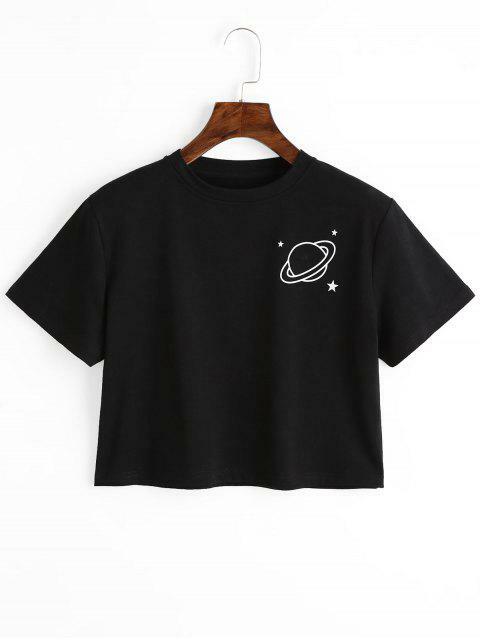 [26% OFF] 2019 Planet Print Graphic Crop Tee In BLACK | ZAFUL .. This is a great shirt! The fabric is super comfortable and light. It fits exactly as I thought it would (I’m 5’ and 100 lbs). I would definitely recommend this shirt! It’s super cute. This is a very cute shirt! 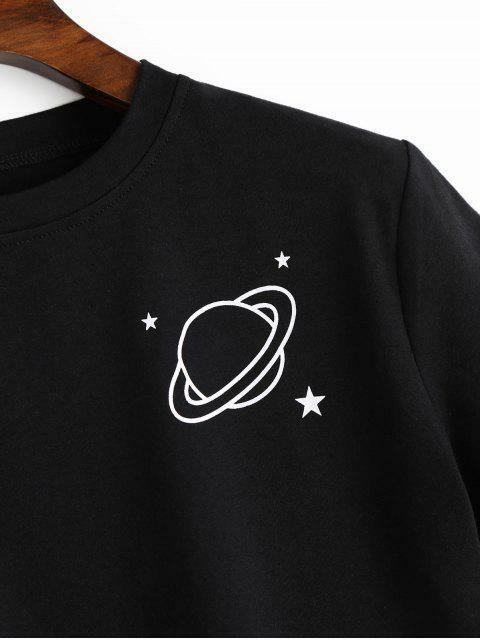 Fits just right as it is slightly cropped and the planet design is really nice and pairs very well with black leggings/jeans! This casual tee features round collarline, short sleeves and cute planet pattern with cropped length to show your charming waist.